As a new migrant caravan leaves Honduras with the goal of crossing into the US over the southern border, the Pentagon announced on Tuesday that it would extend the military's mission on the southern border, according to Reuters. The mission will be extended through at least Sept. 30, they said. Acting Defense Secretary Patrick Shanahan approved the extension following a request from the Department of Homeland Security. There are currently about 2,350 troops assigned to the border mission. The deployment was expected to end on Jan. 31. President Donald Trump initially ordered the deployment in October, shortly before the midterm congressional elections, as part of a widespread crackdown on illegal immigration as several caravans of migrants from Central America resisted the Mexican government's efforts to keep them in Mexico and continued their trek to the US. The order comes as the number of migrant families illegally crossing the southern border has jumped in recent months, along with a spike in asylum claims from migrants fleeing violence in Central America. 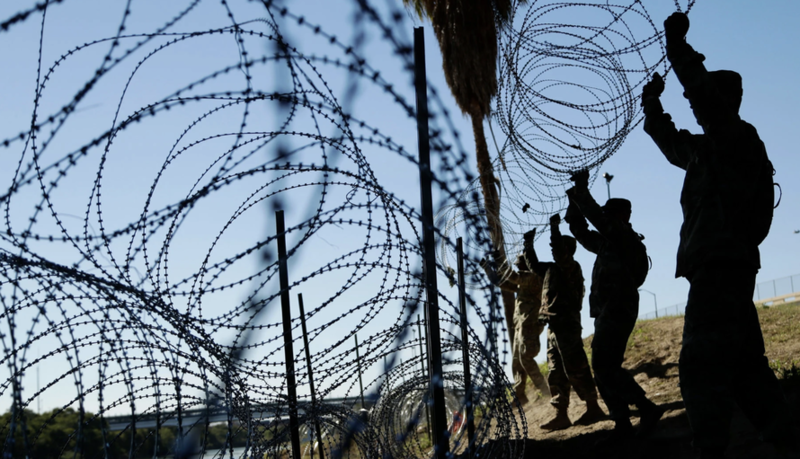 The troops, who are restricted by US law from engaging in law enforcement activities, have mostly performed supporting services like building reinforcements at border bases and assisting border patrol agents.